We have two wonderful Year 1 classes and our teachers are Mrs Holden and Mr Marland. We have the superb Mrs Simpson and the amazing Mrs Caliskan helping us in the classroom too! For this topic we will be looking at the introduction of castles into the UK by William the Conqueror as well as studying different types of castles, parts of castles and their function. 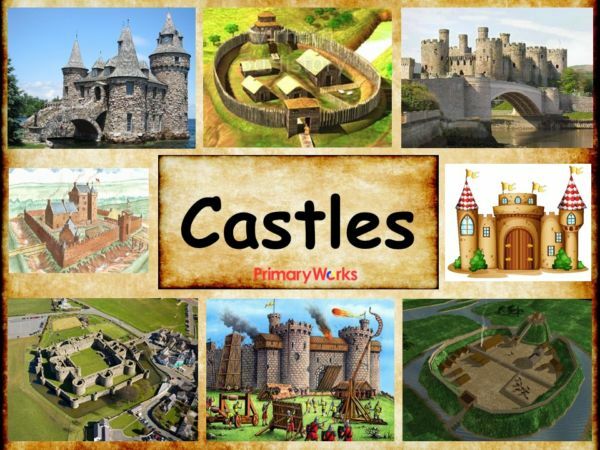 We will also be comparing castles from the past and how they differ to castles of today. Our school trip to Beeston Castle will take place this half term where we will identify the features of the castle as well as exploring the grounds. We will be returning to Marshall's Arm to observe the early signs of Spring, including the flowers, trees and weather. Year 1 are currently part of the programme Ready Set Ride, which is a cyclying programme with the objective of helping children become happy and confident cyclists. The programme includes three different stages that will help build up the children's physical skills, which will invevitably help them ride a bike. Please have a look on the website where you will be able to register for free and have access to the different activities that you can do with your child to help them ride a bike. Reading – Your child’s homework will be their reading. It is important homework that children read regularly at home – please comment/sign the Reading Diary every night. If your child has read at home and their book has been signed then they will receive a raffle ticket the following day. At the end of the week a raffle is done and the winner will receive a prize. The more your child reads during the week the better chance they have of winning! The children are often encouraged to change their book. We will often send the same book home again: reading is not just about reading the words; we want to encourage children to have a really good understanding of what they read and to do this, it is important that they discuss the book and answer questions about it. Spelling - Each child has been provided with a personal username and password. They must use these details in order to log on to spellodrome. Each Friday your child will be given new words to practise spelling through spellodrome in preparation for their spellings quiz that will happen each Wednesday. Your child will gain points when they are on spellodrome and the three children with the highest points will be added to the class spellodrome leader board. For more information about spellodrome please speak to a member of the Year 1 staff. Some websites are listed below which may be useful for you to use with your child to reinforce the learning they are doing in school. We are looking forward to a fun, action packed term and we are sure the children are too!